Westlife UK: X Factor: Louis Walsh and Cheryl Cole fell out when she slagged Westlife! X Factor: Louis Walsh and Cheryl Cole fell out when she slagged Westlife! Louis Walsh never struck us as the loyal type, but it seems that he does feel very strongly about Irish man band Westlife. 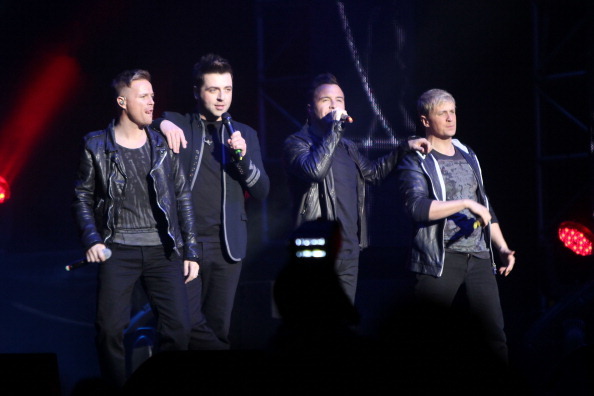 The Irish star has managed the group – consisting of Nicky Byrne, Kian Egan, Mark Feehily, Shane Filan and formerly Brian McFadden – since 1998 and admitted in a recent interview that he once fell out with his fellow X Factor judge Cheryl Cole when she slagged the boys off. No doubt Cole made a remark about the cheesy music, the use of stools or the predictable key changes in Westlife songs, but Louis was having none of it and speaking to heat magazine, Walsh said he couldn’t put up with “derogatory” comments about the boyband. “Cheryl and I had a few rows on camera but not many off-camera. The grey haired star – who was the only original judge to return to The X Factor this year – has also claimed some of the credit for bringin Destinys Child star Kelly Rowland on as Dannii Minogue’s replacement. “Three years ago, I said to Simon, ‘You know who would be a good judge? Kelly Rowland’, and Simon was like, ‘Really?’.